Does our Chocolate Fountain Hire cover Symonds Yat? 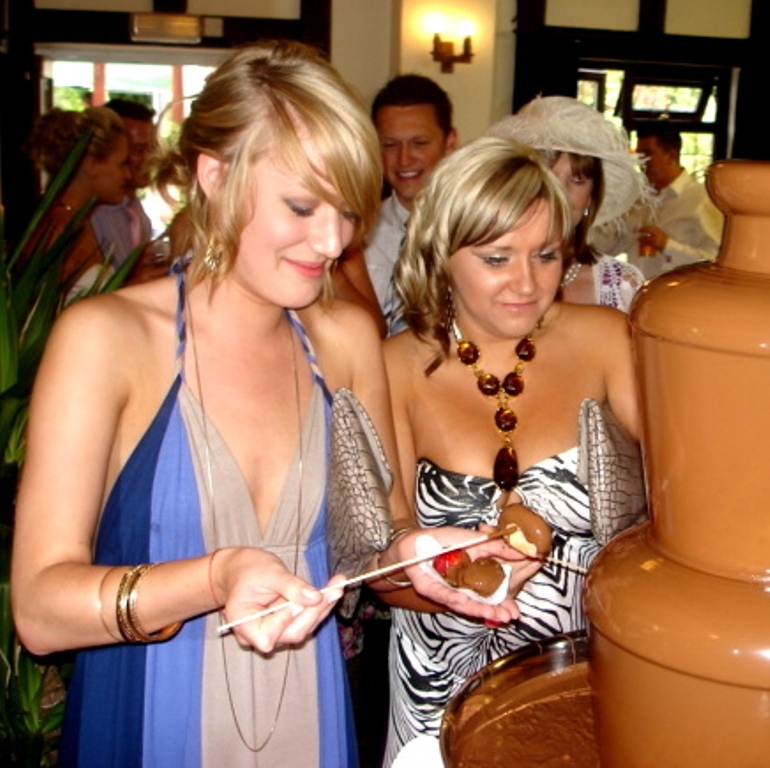 We cover more areas and distances, hotel and events than most other chocolate fountain hire company in the UK – we love to travel and we love to enjoy the many places this business takes us to. We were invited to arrange a hire for Phil and Denise’s wedding almost a year previous. 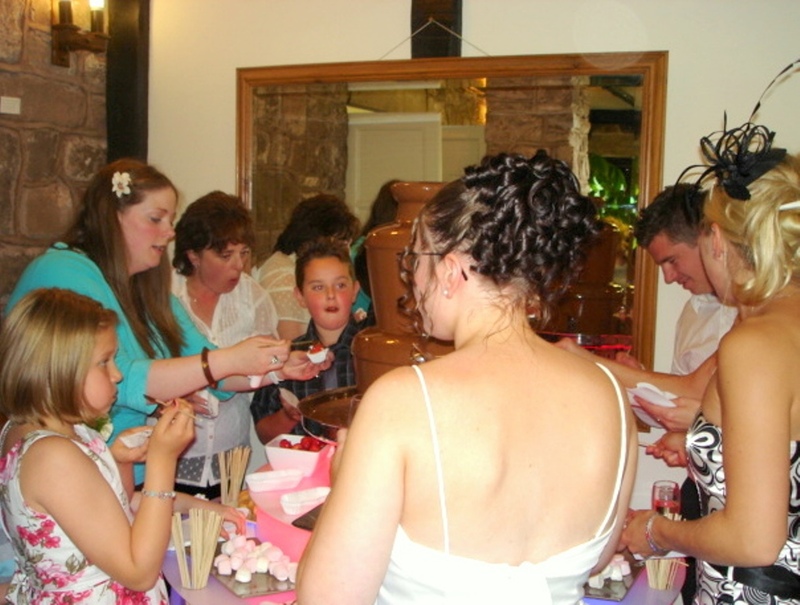 We were excited to visit The Wye Valley, not far from Cheltenham. It was summer and the countryside was in its prime – beautiful border countryside. Over 150 well-wishers congratulated this young couple into married life, but looking at the crowds around our chocolate fountain for hour after hour, one asked what was the motive for being there. We can hardly blame them. We use only the best of everything! 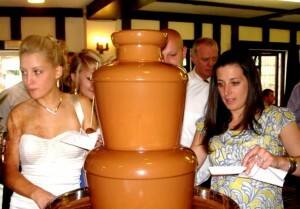 Chocolate Fountain Event in Worcestershire? Are you having an upcoming event that you want to make truly special and unforgettable? 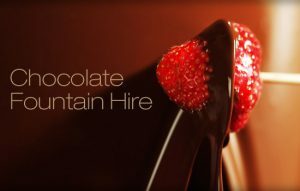 Want to create a talking point? 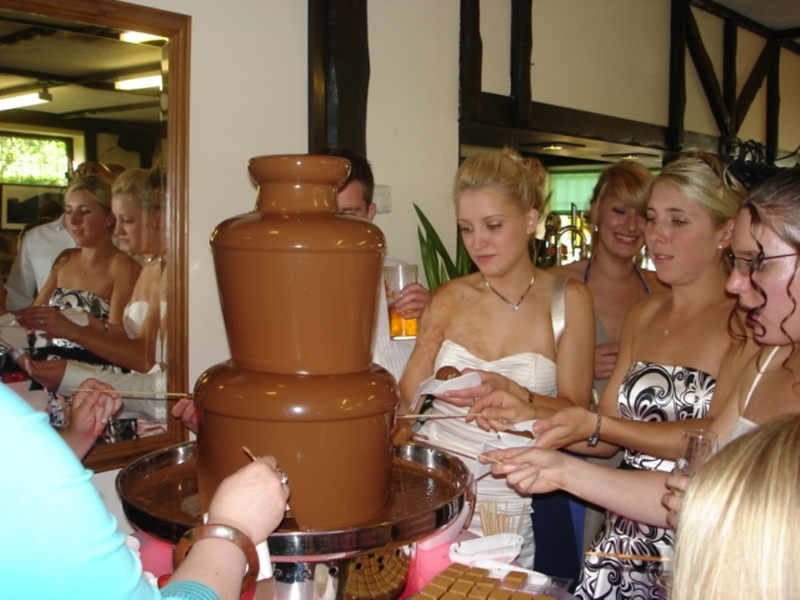 An ice-breaker? A topic of conversation? Chocolate Fountains in The Forest of Dean are and have always been the way forward! 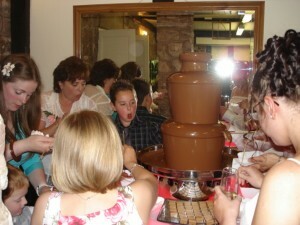 At Chocolate Fountains R Us, we know all about chocolate and events. 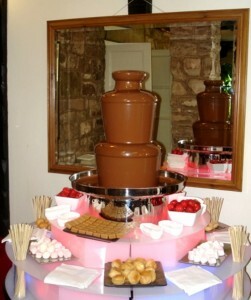 Give us a call or drop us an email if you have an idea, a hankering or just wanna be different or just to discuss ideas. 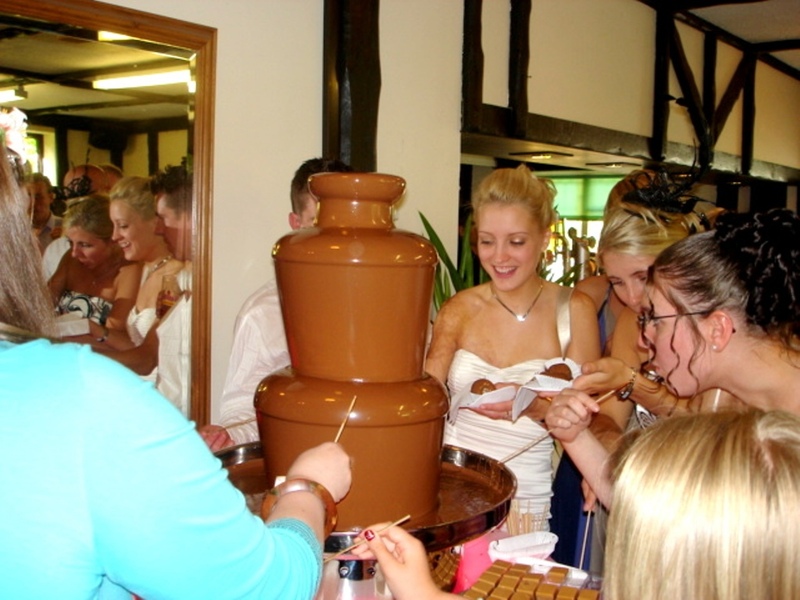 Our fountains can grace any event, from weddings, to proms to birthdays to barmitzvahs.